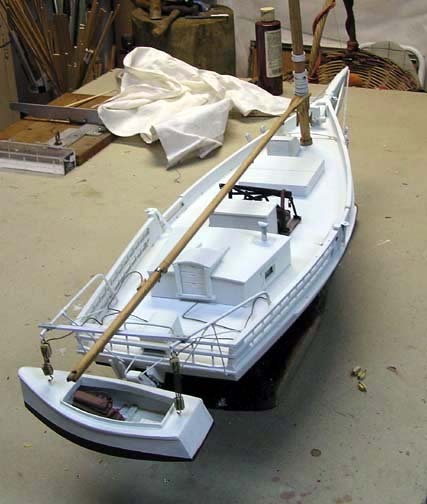 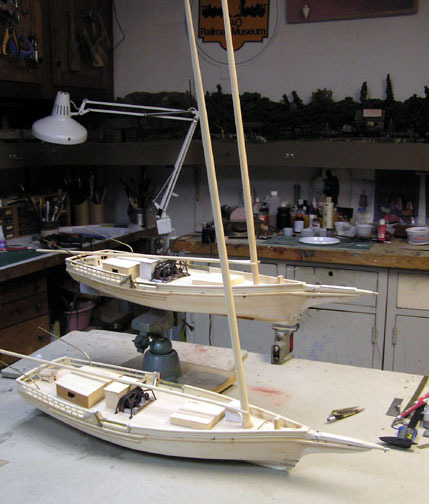 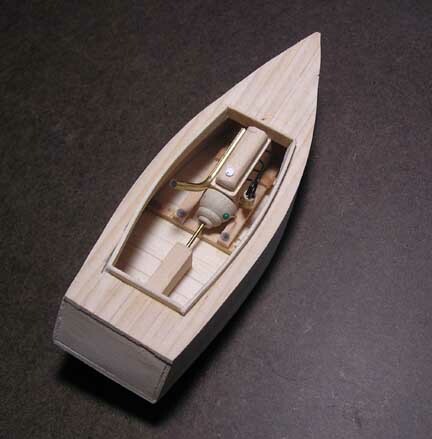 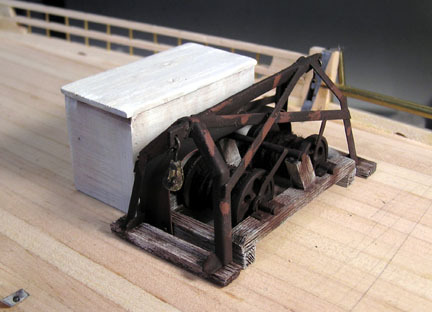 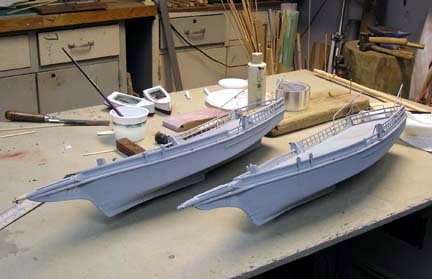 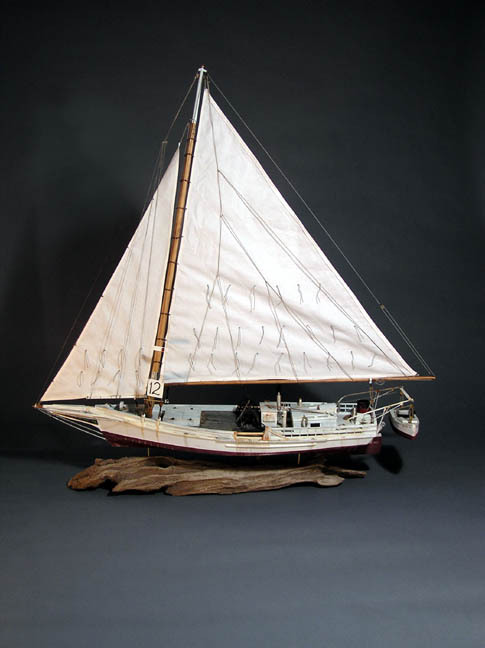 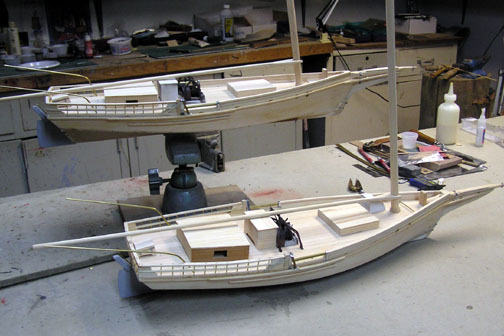 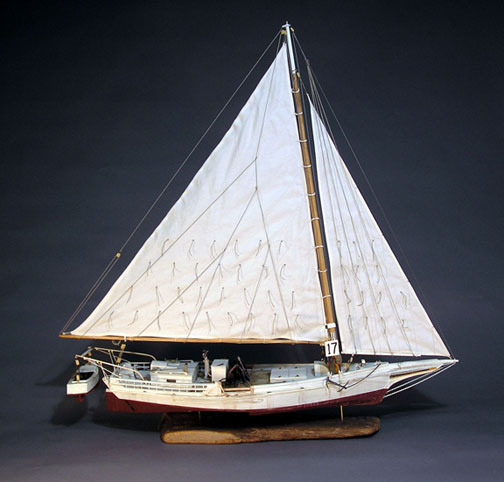 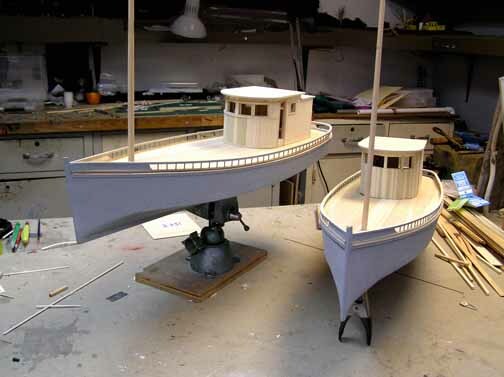 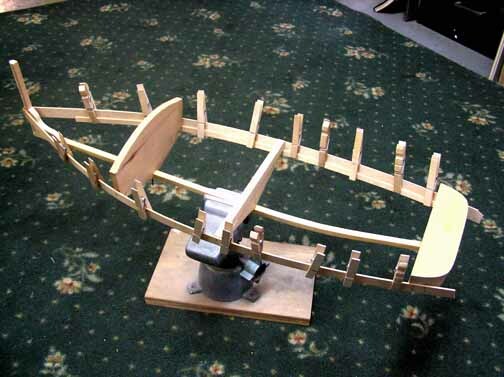 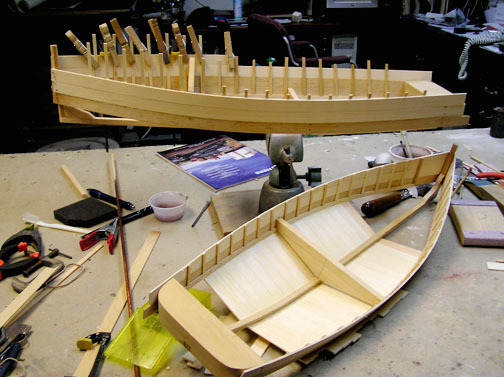 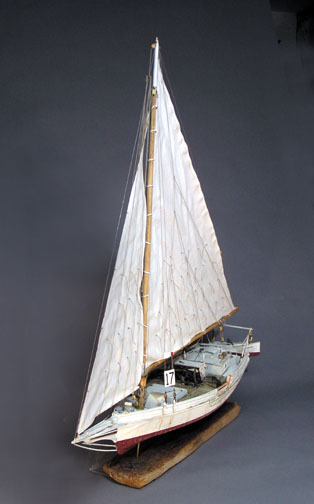 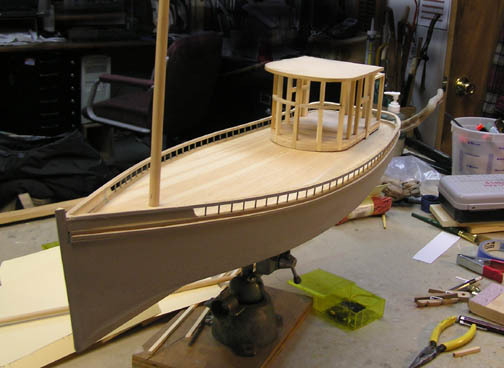 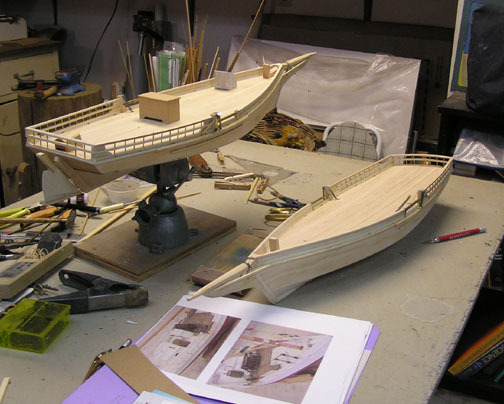 These models are in 1/2" scale and will measure out to about 34" from the tip of jib boom to the pusher boat which will be carried on stern davits. 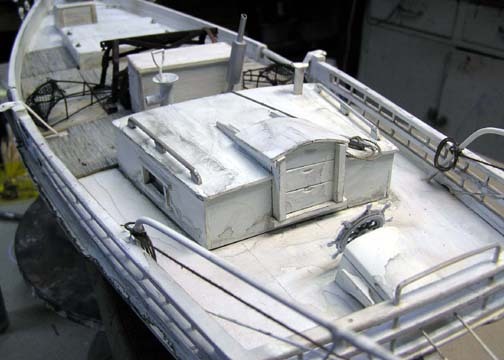 Please come back to see models as they progress. 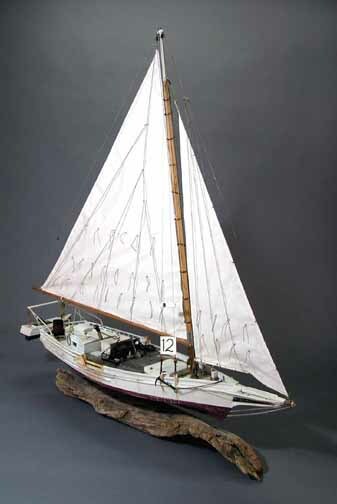 Time proceeds to show more changes to the hulls. 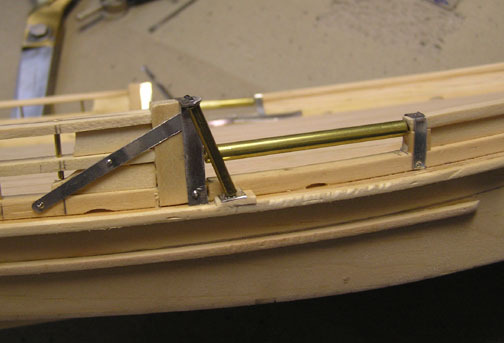 On the right we now have the addition of the log rail and top rails along with dredge rollers . 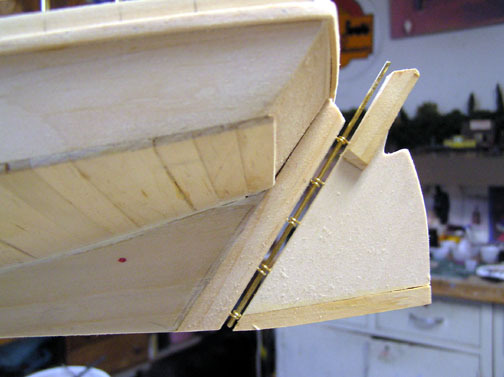 The rudders are also almost complete. 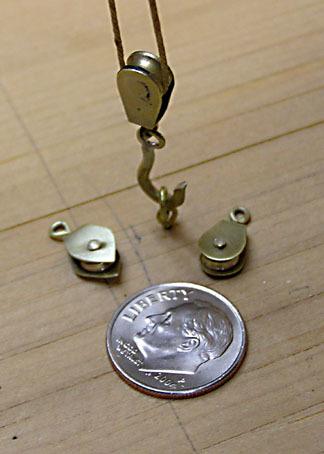 below are some detail photos. 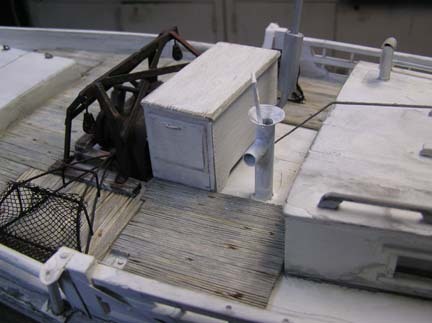 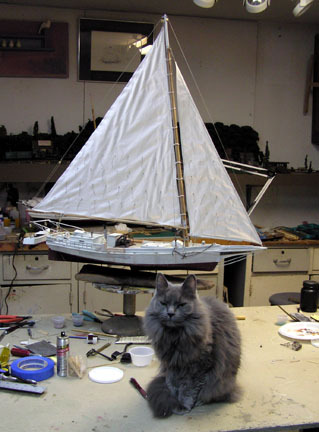 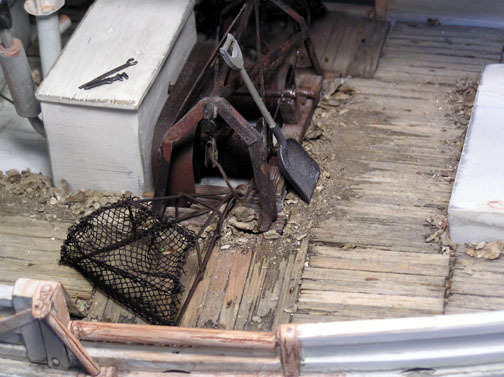 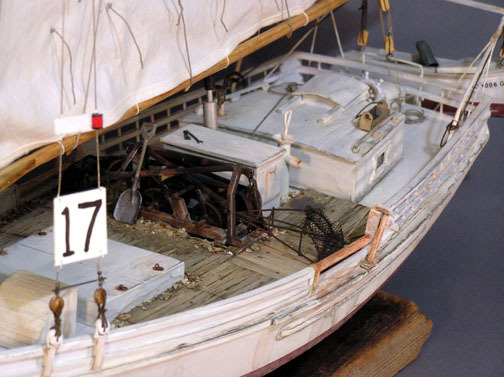 in further detail at our boat gallery page. 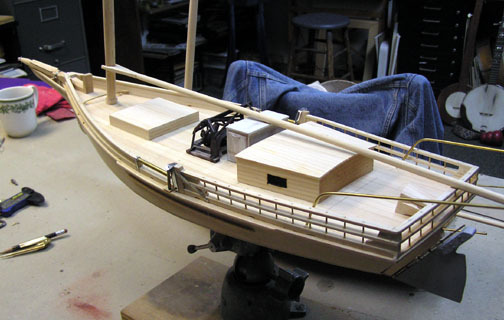 what is known as a chunks (large pieces of timber) in the stem. 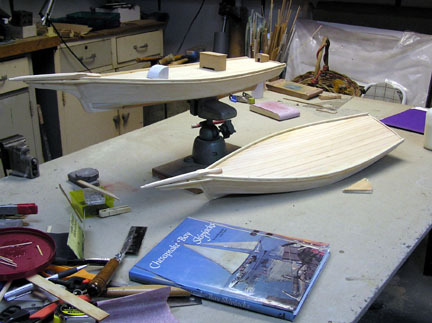 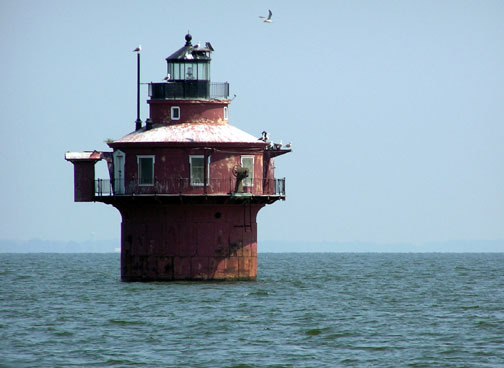 This method is typical of Chesapeake deadrise workboats. 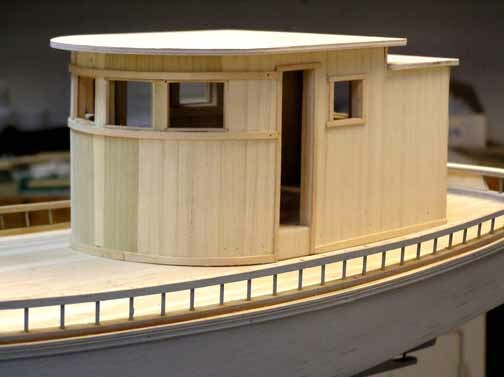 The wheelhouse above is made of pine, poplar and bass woods. 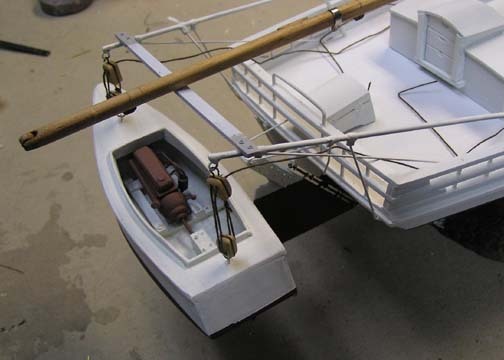 (hoisting rig) of the Buy Boat's mast.